It’s the debate that’s been hotly debated over the last few years, and is only gaining more traction as time goes on. More and more manufacturers are choosing to scrap the inclusion of a spare tyre in the trunk of their new models, which is theoretically supposed to save you money and undoubtedly saves them some. The debate as to whether it is a good or bad thing for consumers started boiling a few years back when Holden made the bold decision to not include a spare tyre as standard in their VE Commodores. Their argument was that it was going to make the vehicle a hefty 20-25kg lighter which could pass on an improved fuel economy of up to 0.2L/200km – life changing stuff, obviously. Quite a few other manufacturers around the world have agreed with this logic, arguing that these days most people who get a flat call on roadside assistance rather than trying to change it over. On that same token, who’s to say that people can’t have roadside assistance come along and change the spare in their boot for them? If you’re in the market for a new car, it doesn’t necessarily mean you’re going to be left high and dry, though. 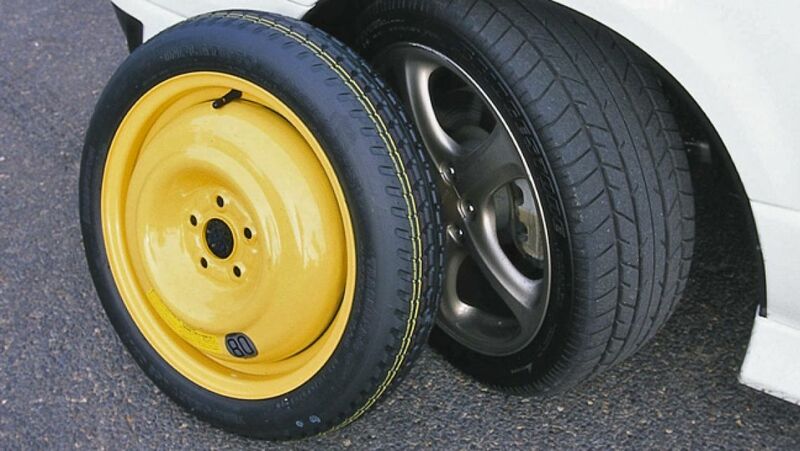 Many manufacturers are now opting to provide “space-saver tyres”, also known as temporary-use tyres. These are usually brightly coloured, thinner tyres designed to be used for just long enough to get you somewhere where you can replace it with a proper tyre. The problem is, industry experts like the RACV have expressed serious concerns about their safety, with tests showing that they negatively affect braking and handling. So is the safety risk worth it to save a few dollars at the pump? Do people get flats enough to even warrant this debate? And will this continue to be a trend until the days of spare tyres is just an old urban legend we tell our grandchildren?